Two of Broadway's most talented leading ladies returning to Broadway in the same show? Can it be true? It is theatre fans. It was just announced, that two-time Tony winners Patti LuPone and Christine Ebersole will return to Broadway next Spring in War Paint. The new musical, premiered at the Goodman Theatre in Chicago this past Summer, where it broke box office records, and went on to become the most successful show in the theatre's history. Now do you see why it's moving to Broadway? Now to be honest, I knew nothing about the show prior to it's recent production, except it's stars of course, and the fact that it was being written by Scott Frankel and Michael Korie. They, along with Tony and Pulitzer Prize winner Doug Wright, wrote Grey Gardens, which starred Ms. Ebersole in her Tony winning role as "Little" Edie Beale. The show, which was nominated for ten 2007 Tony Awards, was directed by Michael Grief (Rent, Next To Normal) who is reunited with his Grey Gardens team once again. Incidentally Mr. Grief will be pulling double duty this season, as he is also directing the highly anticipated Dear Evan Hansen, which is opening on Broadway this Fall. So what exactly is War Paint about? Well according to a production source, War Paint is based on the documentary film The Powder and Glory, by Ann Carol Grossman and Arnie Reisman. 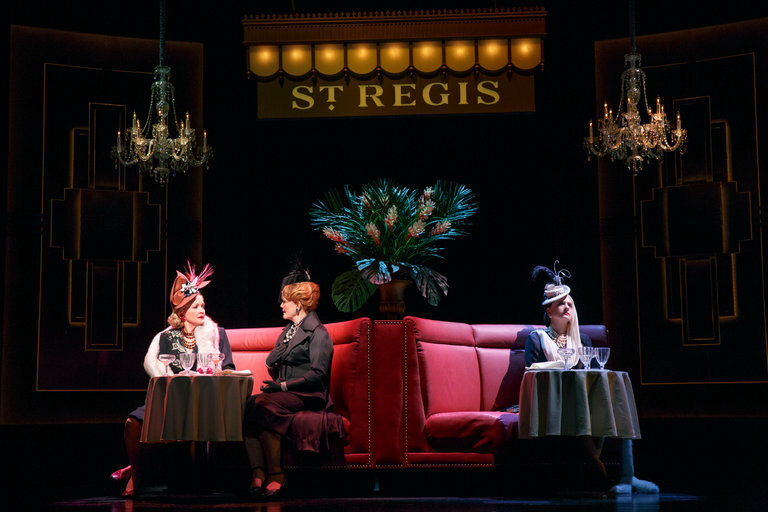 The show “tells the remarkable story of cosmetics titans Helena Rubinstein (LuPone) and Elizabeth Arden (Ebersole), who defined beauty standards for the first half of the 20th Century. Sounds pretty interesting don't you think? But don't take my word for it. Check out these amazing reviews from the Chicago production. Previews for War Paint are set to begin on March 7 2017, at the Nederlander Theatre, with opening night scheduled for April 6. Tickets for the show are expected to go on sale soon, so be sure to check back here to find out when they do. Get your tickets to see War Paint on Broadway at the Nederlander Theatre. Until next time theatre fans.